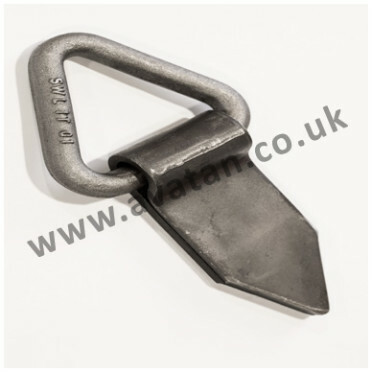 Lifting eye, lashing ring for crane lift stillages. Suitable for 1000kg SWL per lifting eye. These lifting eyes may be added to most cage pallets, post pallets and box pallets in order that they may be lifted by crane or Hiab. 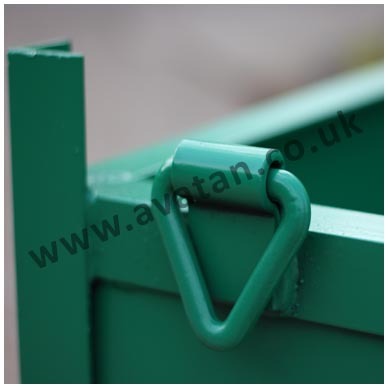 Stillages must be load tested and certificate issued one the lashing rings are added to the pallet.